The West Wight is the Western side of the Isle of Wight, situated off the Southern coast of England. There is a thriving Buddhist community on the Island made up of a number of different groups. The West Wight group, or Sangha, is non-denominational and meets weekly to meditate and discuss the Dharma, the Buddha's teachings. Further to our recent post "Siladhara Pabbajja, or "Nuns’ Ordination" at Amaravati" we now learn, according to Thanissara, "that the new nuns were asked to agree to the 5 points - which were unexpectedly included at the end of the ordination ceremony. It was clear that this was a shock to some of the older nuns who had no idea they were going to be put into the ceremony." 1. The structural relationship as indicated by the Vinaya of the Bhikkhu Sangha to the Siladhara Sangha is one of seniority, such as the most junior bhikkhu is senior to the most senior siladhara. As this relationship of seniority is defined over time it is not subject to change. 2. In line with this, in ritual situations where both bhikkhu and siladhara - such as giving anumodana and precepts - leading the chanting or giving a talk - is always presumed to rest with the senior bhikkhu present. He may in some cases invite a senior siladhara to lead. Yet if this is a regular invitation it does not imply a new standard of shared leadership. 5. The Siladhara training is considered to be a vehicle already suitable for the realization for liberation, and is respected as such within our tradition. 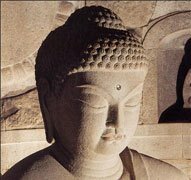 It is offered as a complete training as it stands, and it is not a step to a different form, such as Bhikkhuni Ordination. 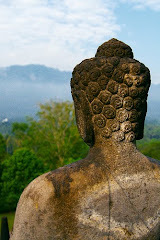 You might also like to check-out Ajahn Sujato's piece "A recent Siladhara ordination"
The Five Points perfectly make sense in a Theravada Buddhist monastic setting and appear to be very meaningful in the way that they will really contribute to achieving the goal of nibbana in this very life for the women thus ordained. In response to the comment above: Due to the fact that the Five Points were created by a couple of monks at Amaravati I think that's doubtful. It was the Buddha who showed the path to Nibbana - noone else - but if you can give an example of a woman who has acheived nibbana from following the five points then I'm sure we'd all love to hear about it. Infact, if the five points are indeed the gateway to liberation then I'm sure it won't be long before the monks will want to start applying them as well. Buddhist "Thought for the Day" Censored? Another "Quote that I like"
World Mapper: How the world truly is!